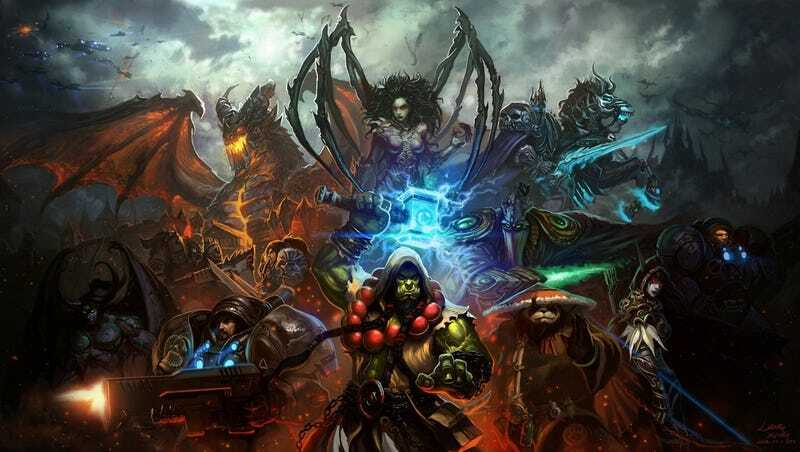 Last week, Blizzard filed a lawsuit against the team behind a series of bots called “Buddy,” which allow users to cheat at games such as Heroes of the Storm, Diablo III and World of Warcraft. This week, the creators of those bots are hitting back at Blizzard, claiming the company has stolen their code. But Blizzard says they’re not wavering. As TorrentFreak report, Blizzard’s lawyers allegedly approached James “Apoc” Enright—a freelancer working with the bot’s creators, a German company called Bossland—and offered him a deal “under which he agreed to hand over the source code for the Stormbuddy software.” Stormbuddy is Bossland’s cheat bot for Blizzard’s MOBA Heroes of the Storm. Today Blizzard acted in a manner as shady as possible for a multi-billion-dollar corporation. We were informed that the deal compelled Apoc to submit the entire source code of Stormbuddy, which is actually the intellectual property of Bossland GmbH, to Blizzard. Strong words. Letschew says that as a result of the alleged acquisition of the code, and the loss of sales resulting from the fact they’ve had to stop selling their cheat service, Bossland will be taking Blizzard to court in Germany. They want to get their hands on the details of the deal made with Enright, who as a freelancer was not in a position to hand over code he did not own, they say. This is far from the first time Blizzard and Bossland have gone (or threatened to go) to court; they’ve battled since 2011, and earlier this year Blizzard was ordered to pay legal costs in a case involving gold-selling in Diablo III. In May of this year Blizzard banned thousands of players caught using Bossland’s bots in World of Warcraft. Bossland’s entire business is based in cheating, and the use of their bots negatively impacts our global player community. That’s why we do not tolerate cheating in our games, and it’s why our players overwhelmingly support that policy. We’ve already won numerous cases against Bossland in Germany (where they’re based), and despite their tactics to delay the ongoing proceedings and the related repercussions, we’re confident that the court system will continue to validate our claims and ultimately stop the distribution of these cheating bots. We’ll continue to aggressively defend our games and services, within the bounds of the law, in an effort to provide the best possible experience for our players. We want to use this as an opportunity to remind players who might not be aware—using bots, such as those distributed by Bossland, to automate gameplay in our games will result in a loss of access to those games. It’s tough mustering much sympathy for people who try to make a living overtly and specifically cheating in a video game. But the courts aren’t a place for sympathy, so it’ll be interesting to see how this plays out.